I gave you a little teaser of this recipe when I posted my Rosemary & Garlic Focaccia last month. I meant to post this recipe right away, but then things got busy and it kept getting pushed back. But here it is today, just in case you’re looking for a non-traditional or vegetarian dish to bring to the Thanksgiving table! 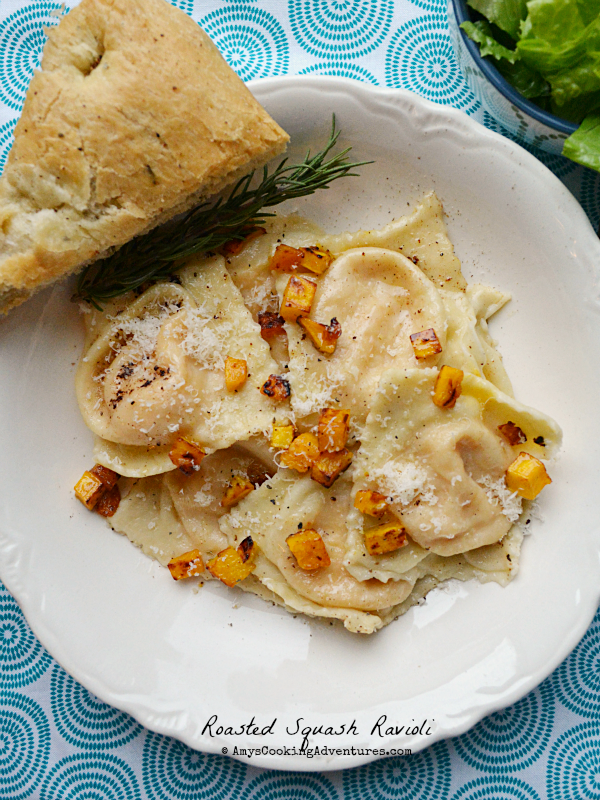 These ravioli combine all of my favorite fall flavors: squash, browned butter, and just a touch of sage. Not to mention cheese. Cheese is always in style. The only downside is that this is a very time consuming, labor-intensive dish, but the results are well worth the effort. Preheat the oven to 350 degrees F. Cut the squash in half (discarding seeds) and place cut side down on a rimmed baking sheet (save 1 cup cubed squash for the finishing step, if desired). Add about ¼-inch water to the tray and place in the oven. Bake for 1 hour or until the squash is tender and easily pierced with a fork. Cool slightly. Once cooled a bit, scoop the flesh out of the squash into a food processor. Add the cheeses, butter and pepper, and puree. Add milk, 1 tablespoon at a time to thin the puree just enough to blend smoothly, if needed. Cover and set aside. To make the dough, place the flour on the countertop and make a well in the center. Place the eggs, salt, and oil in the well. Whisk the eggs, slowly incorporating flour. Then, knead the dough until smooth and sanity, about 10 minutes (add water as necessary without making the dough sticky). Split the dough into 4 parts and cover loosely with cling wrap for 1 hour. After 1 hour, run each piece through a pasta maker. Start with the widest setting. Fold the dough in thirds, and run through again. Fold in thirds a final time and run through again. Next, run the dough through the pasta machine (each time at a smaller setting) until the dough is as thin as possible. Cut the dough strip in half. Scoop 1 teaspoon of the squash mixture evenly onto the dough. Cover with the second piece (that has been damped with water) and press firmly to seal. 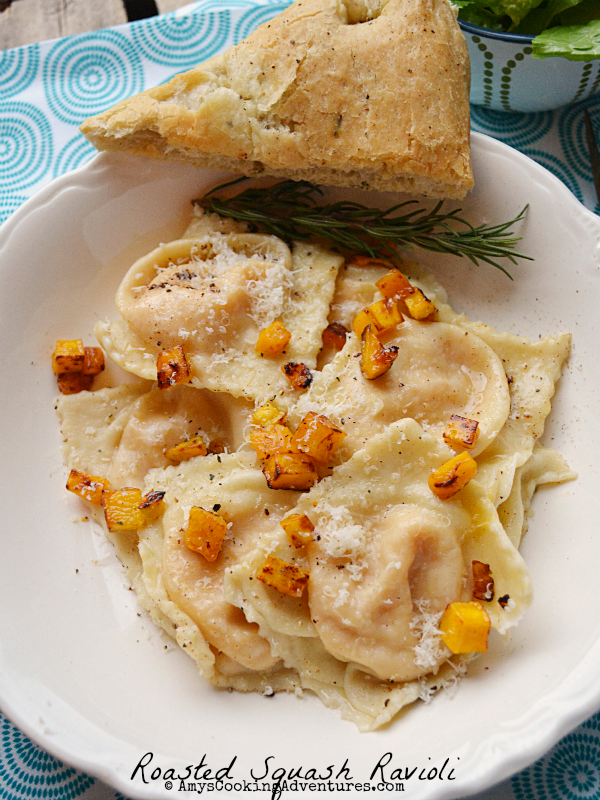 Use a pizza or pastry cutter to cut the raviolis apart. Place on a floured surface and repeat until the dough and filling on gone. Rest the ravioli for 30 minutes, flipping once or twice. Meanwhile, sauté reserved squash cubes in ½ tablespoon of butter until lightly brown and tender. Set aside. Place the butter in a small saucepan over medium heat and cook until browned. Add the sage, salt, and pepper and set aside. Bring a large pot of salted water to a boil. Add the ravioli and cook for 5 minutes. Drain and toss with browned butter sauce and sautéed squash and serve. 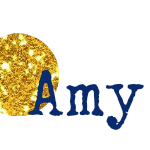 Sounds perfect Amy....Happy Thanksgiving to you and your guys!